EB Inc Event Rentals & Design, formerly Elegant Beginnings Inc., is a full service rental company with a specialization in linen rentals. With over two warehouses full of inventory, this facility marks the second expansion after over 16 years in the special events industry. EB Inc employs a full service design and production team who are able to simultaneously execute multiple events ranging in size from intimate gatherings to enormous corporate functions. EB Inc's award-winning designs are seen at wedding ceremonies and receptions, corporate events, galas, fundraisers, quinceneras, bodas, b'nai mitzvah, birthday parties, sweet 16 celebrations, rehearsal dinners, proms, homecomings, graduations, private family events, baby showers, bridal showers, and more. EB Inc services the Greater Houston, Dallas, and Austin Metropolitan areas. We send our inventory all over the world and specialize in destination wedding & event rentals. EB Inc is home to over 12,000 square feet of a vast variety of tablecloths, overlays, runners, napkins; self-tie, spandex, and foam back fitted chair covers; chair sashes; chair caps; and couture chair treatments. 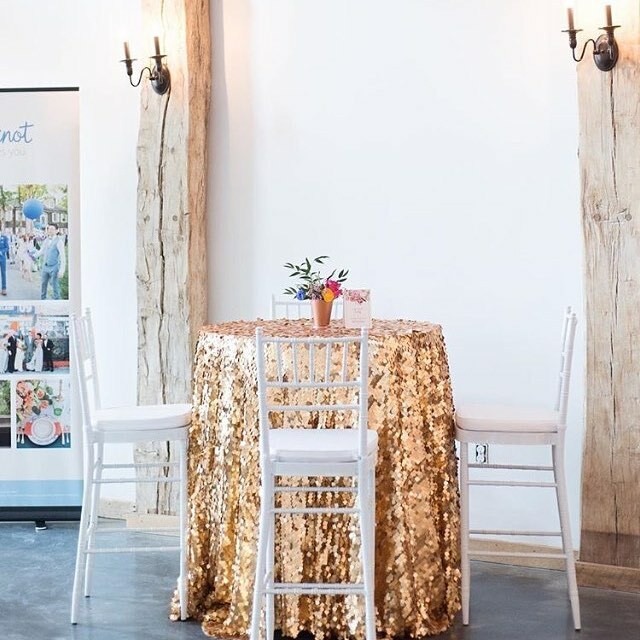 Along with linens you can also find tables; garden chairs, folding chairs, chiavari chairs with coordinating cushions, clear acrylic chairs, chargers, lounge furniture, pillows, wall and ceiling drape, napkin accessories, and other event decor. Along with EB Inc’s immaculate showroom, warehouses, and office, it hosts a commercial laundry, sewing, and production facility where inventory is custom made and maintained on site. EB Inc's expanded warehouses and showroom house floor-to-ceiling racks of endless linen combinations. Our design center allows clients a visual working area to create trendy tablescapes and custom decor combinations for their special event. EB Inc practices environmental consciousness by using efficient fuel and water equipment, built-in sky lights, and warehouse LED lighting for energy conservation. The facility boasts several commercial washers, dryers and industrial presses with laundering capabilities of over 100,000 pounds of linen per week. An in-house commercial sewing department allows EB Inc to provide their clients with custom linens in any of the thousands of readily available fabrics. In other words, if you can’t find what you want from our thousands of in stock linens, we will make it!